This Hand embroidery for beginners workshop is perfect for newcomers to needlepoint who want to master the essential skills of hand embroidery. 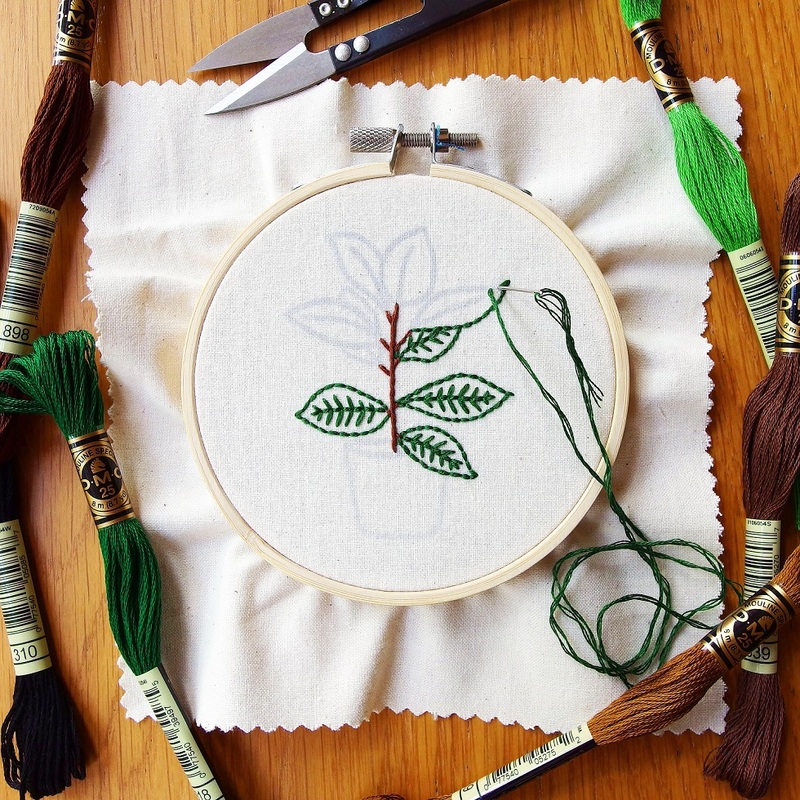 The 2 hour workshop in Camberwell covers everything from tools to techniques, taught by the experienced embroiderer behind Little Sasquatch Embroideries. All the equipment you need will be provided, and Joanna will walk you through step by step as you bring a cute potted plant pattern to life. You’ll pick the colour scheme, and will have lots of opportunities to put your own spin on the embroidery design! At the end you’ll take home your embroidery hoop, pre-printed fabric, thread snips and notes so you can finish it off at home if needed. The workshop takes place in the chilled environment of the Lumberjack Cafe in Camberwell, London, which sells excellent coffee, snacks, and a range of alcoholic and soft drinks.